American Flags and Maryland Flags to fly at half-staff Friday, April 25th in honor of US Navy Petty Officer 2nd Class Mark Mayo. 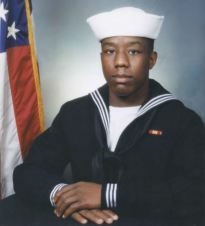 MA2 Mayo was killed when he was shot by a civilian trying to enter a restricted area on the USS Mahan in Norfolk. Reports say Mayo witnessed a struggle between the civilian and the Petty Officer of the Watch and later shielded her from gunfire with his own body while trying to protect her. MA2 Mayo will be posthumously awarded the Navy and Marine Corps Medal for his heroism. American Flags and Kansas Flags to fly at half-staff Friday, April 25th in Kansas in honor of former State Representative Don Dahl. Rep. Dahl served in the State House from 1997 through 2008. He was speaker pro-tem and later on the Kansas Supreme Court Nominating Commission. Maryland State Flags to fly at half-staff Thursday, April 24th through Friday, April 25th in honor of Torrey Brown, former Secretary of the Maryland Department of Natural Resources. The flag should fly at half-staff at all Dept. of Natural Resource Facilities and at the Maryland State House. American Flags and West Virginia Flags to fly at half-staff Wednesday, April 23rd in West Virginia in honor of former US Congressman David Michael Staton. Rep. Staton served in the US House of Representatives from 1980-1983 and then served as Chief Political Advisor to the US Chamber of Commerce from 1984-1990. American Flags and Kansas Flags to fly at half-staff Thursday, April 17th and Friday, April 18th in honor of Dr. William Corporon, Reat Griffin Underwood and Terri Lamanno. Corporon, Underwood and Lamanno were victims of the shooting at the Jewish Community Campus and Village. American Flags and Massachusetts Flags to fly at half-staff Thursday, April 17th in the Commonwealth of Massachusetts in honor of Dennis Simmonds. Simmonds was a six year veteran officer with the Boston Police Department. He died at the training facility from a medical issue. 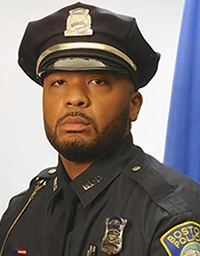 Officer Simmonds was scheduled to receive The Top Cop award honor from President Obama next month for his efforts in helping to hunt the suspects in the Boston Marathon bombing a year ago. He was injured by a bomb during the pursuit and eventual capture of the suspects. Virginia Flags to fly at half-staff Wednesday, April 16th in the Commonwealth of Virginia in honor of those who lost their lives in the Virginia Tech campus shooting that occurred April 16, 2007. American Flags and Washington Flags to fly at half-staff Tuesday, April 15th through Tuesday, April 22nd in honor of the victims of the SR 530 slide that happened March 22, 2014. American Flags and Massachusetts Flags to fly at half-staff Tuesday, April 15th in the Commonwealth of Massachusetts in honor of those who lost their lives in the Boston Marathon Bombings that occurred April 15th, 2013. American Flags and Missouri Flags to fly at half-staff Saturday, April 12th in Missouri in honor of US Army Sergeant Timothy Owens. Sgt. Owens was a victim in the recent Fort Hood, TX shooting. He was assigned to the 154th Transportation Company, 49th Transportation Battalion (Movement Control), 13th Sustainment Command (Expeditionary) at Fort Hood. His awards and decorations include the Army Commendation Medal (3), Army Achievement Medal (4), Army Good Conduct Medal (2), National Defense Service Medal, Iraq Campaign Medal with Bronze Service Star, Global War on Terrorism Service Medal, Noncommissioned Officers Professional Development Ribbon (2), Army Service Ribbon, Overseas Service Ribbon, Combat Action Badge, Combat and Special Skill Badge Basic Marksmanship Qualification Bad (Bar, Weapon: Rifle (Inscription: Rifle), Marksman), Driver and Mechanic Badge, and the Overseas Service Bar (2).